Nexus® Caddy is a wheeled waste and recycling collection unit designed to be concealed within a floor-level cupboard or fitted beneath a kitchen counter. The Nexus® Caddy is designed to be used inside cupboard reveals fitted with and without doors. 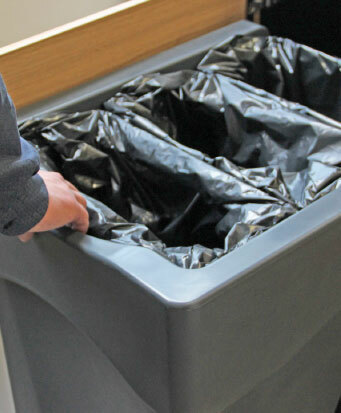 The bin can be wheeled in and out to deposit waste and recycling, alternatively the counter top above the bin can contain apertures. 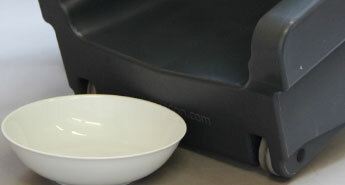 Both allow for segregated waste to be deposited, collected and concealed under the counter top. The storage capacity can be configured to collect 1 x 120L, 2 x 60L or 3 x 40L waste streams – in suspended sacks. The sizes and positions of the sack retention bands vary for each of the three configurations. Sacks can be removed and replaced quickly and easily by operatives. 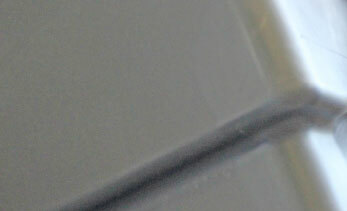 The simplicity of the band system means it is durable, easy to clean and maintain. The Nexus® Caddy is designed to fit inside a 610mm x 610mm cupboard and has a large stepped–in base feature to allow cupboard doors fitted with ‘kick boards’ to shut in front of the unit. 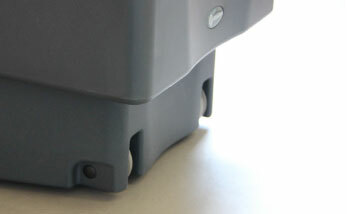 The body features an integrated recessed handle at the front to help wheel the unit forwards and backwards easily. Please ask about personalisation graphics that are available on the areas of the bin shown below. They can be used to designate waste streams. Contact us about your order if you would like any custom graphics.